If their debut beer, the double IPA, caught the attention of the country's beer geeks from their very earliest days, the arrival of the Hopped Our Red helped bring the Reeves' clans talents to a wider audience. Less than a year after launching their brewing company, they were called to the stage to collect a trophy for this beer at the Australian International Beer Awards. 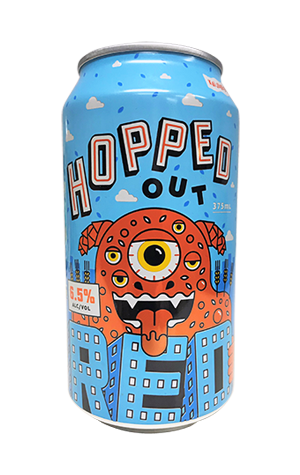 As the name suggests, it's another beer in which hops are very much to the fore, albeit with the malt characters – toffee, caramel, biscuit – given greater prominence. Still, the tropical, piney and grassy hops are very much to the fore, adding a decidedly hearty bitterness to a beer that joined the Robohop as the second KAIJU! beer to be released in 330ml multi-packs.